The Hunger Games: Catching Fire opens up just as Katniss and Peeta, the winners of the 74th Hunger Games, are preparing to go on their victory tour of the 12 Districts and Capital of Panem and trying to find a rhythm to their now dual lives – the theatrical star-crossed lovers while in the spotlight and the barely acquaintances when the camera is off in their ever-dwindling private lives. 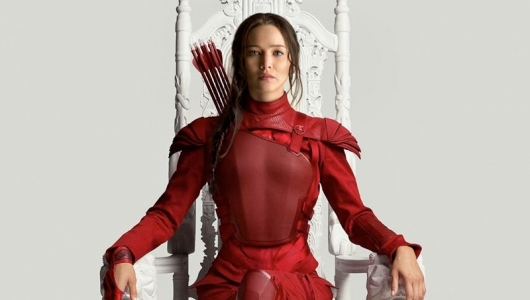 As their tour begins, the pair sees from district to district signs of rebellion and discourse against the Capital by the citizens, the unplanned consequence of their televised defiance against the game’s rules during the events of The Hunger Games. An exclusive world premiere of the trailer for The Hunger Games: Catching Fire premiered at the 2013 MTV Awards Awards, which was broadcast live tonight from Culver City, CA. The 2 1/2-minute trailer was introduced at the awards show by the film’s star Liam Hemsworth. 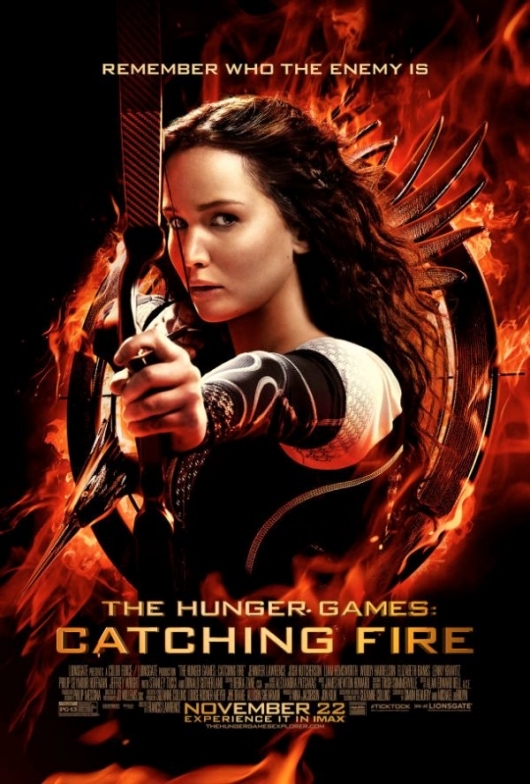 You can watch the new trailer for Catching Fire here below. The action sequences for The Hunger Games weren’t necessarily the best mostly because of the shaky camera scenes and jarring transitions. Hopefully director Francis Lawrence can learn from those mistakes and create a more fluid action sequence that is easier on the eyes. Lawrence is currently overseeing production for the film and as it gets closer to wrapping up shooing, one of the film’s stars, Josh Hutcherson, is speaking out about what we will see and how it will look on IMAX. We’ve recently learned that some of the film’s action sequences will be shot using IMAX cameras. 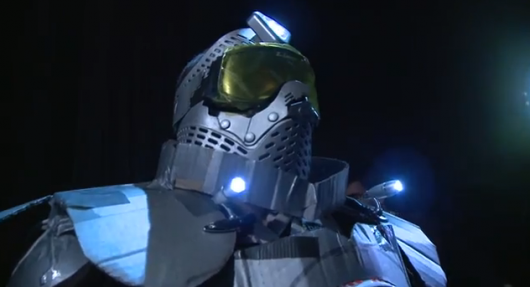 The success of Mission: Impossible Ghost Protocol and the final two films of Christopher Nolan’s Dark Knight trilogy has set a trend for blockbuster films to use the technology in its rawest form. There is going to be a very familiar tune when you take a look at the new motion poster for the highly anticipated The Hunger Games: Catching Fire. Production for the new Francis Lawrence-directed film should be nearing completion. In two days we will be a year way from the film’s release, so the Lionsgate marketing team has decided to release the brand new poster now. Jennifer Lawrence, Josh Hutcherson, Liam Hemsworth, Elizabeth Banks, Woody Harrelson, and Donald Sutherland will all be joined by newcomers Jena Malone, Philip Seymour Hoffman, Lynn Cohen, Alan Ritchson, Sam Claflin and Jeffrey Wright. With a new poster out, this could mean that a teaser trailer is not too far behind. 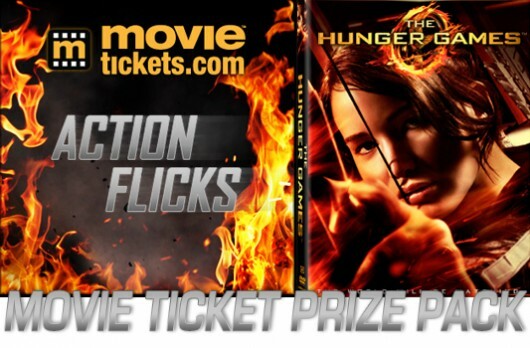 Lionsgate will release The Hunger Games: Catching Fire in IMAX on November 22, 2013. Check out the new motion poster below. 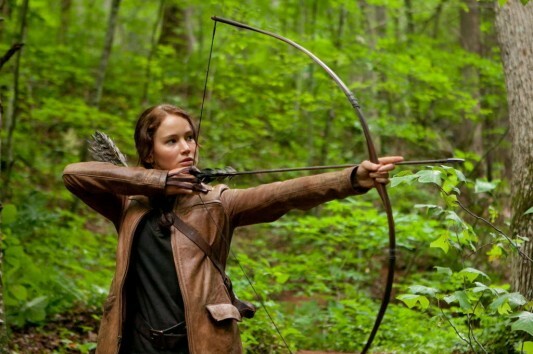 The first part of The Hunger Games trilogy featured the writing talents of Gary Ross, Suzanne Collins, and Billy Ray. Catching Fire, the second part (to be directed by Francis Lawrence), features a draft penned by Slumdog Millionaire screenwriter Simon Befouy and rewrites by Toy Story 3 scribe Michael Arndt. 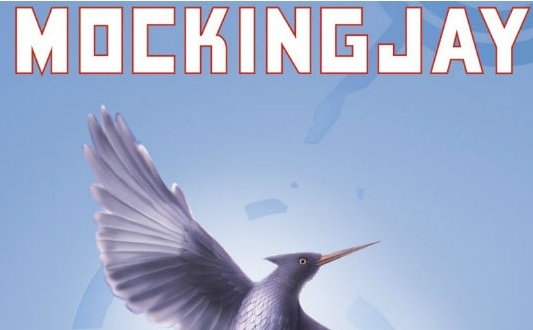 While it’s very likely that Lionsgate will hire a new director for Mockingjay, the studio has already hired a screenwriter to adapt the third and final part of The Hunger Games trilogy. Word is that Lionsgate is hiring Game Change and Recount wrtier Danny Strong to pen the draft for The Hunger Games: Mockingjay Part 1 & Part 2. Variety’s report confirms that the studio will be changing writers for the third act of the trilogy. Strong, who has written two powerful political pieces for HBO Films, Recount and Game Change, has already turned in a script for Lee Daniel’s upcoming historical drama The Butler. Strong already has an impressive track record for writing quality scripts. His two political pieces have won a number of Emmys. Daniels’ is also using his script for the upcoming political drama The Butler, starring Forest Whitaker.